Product prices and availability are accurate as of 2019-04-19 22:25:05 BST and are subject to change. Any price and availability information displayed on http://www.amazon.co.uk/ at the time of purchase will apply to the purchase of this product. 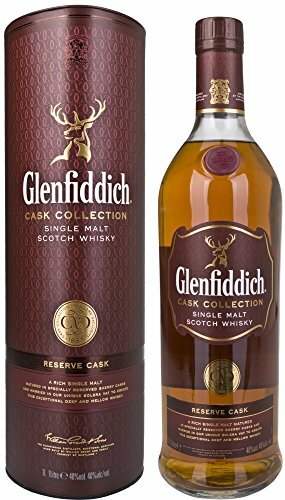 "100cl / 40.0% - Released as a Travel Retail exclusive alongside two other Glenfiddich Cask Collection bottlings, the Reserve Cask focusses on the Sherried side of this Speyside distillery's output. 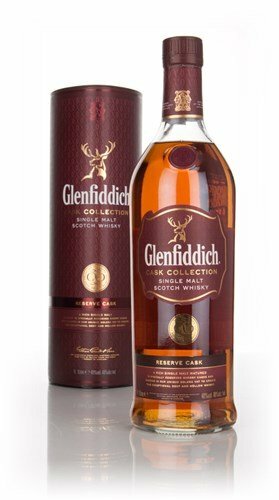 This rich, handsomely sweet expression is matured in Spanish Sherry casks before being married in a Solera vat. This is a 1 litre bottling."